October in Malta is a time of change, regarding the weather of course. With autumn in its first few weeks, you will notice that the temperature will drop to the mid 20’s and there might be a little more rain. Don’t be fooled, however, the sea temperature will still be warm so there will be plenty of opportunities for water sports and days out at the beach. Here’s our pick of the best events in Malta this October. This weekend Valletta will come alive on Notte Bianca (White Night), it will be a memorable night with something for everyone. Palaces and museums are open till late with special discounts on entry, some are also free such as the President’s Palace. The streets are full of life with visual art exhibitions and theatre performances. Music echoes in the streets as local and foreign bands are also on show for your entertainment. Of course, cafes and restaurants will be open until late with food stalls and tables for your satisfaction. 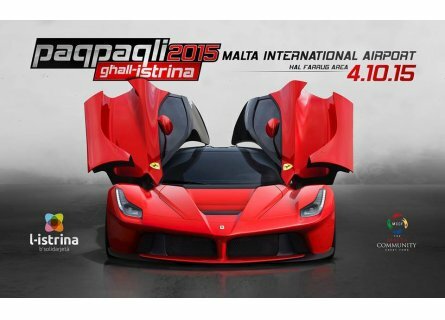 Paqpaqli is the biggest annual motoring event in Malta. This event is one of the largest organizations run by a team of volunteers in collaboration with The Office of The President. The main aim here is to raise money for the Malta Community Chest Fund. This year is a list like non-other, on offer for you to see and drive will be Ferrari, McLaren P1, Porsche 918 Spider, and for the first time in Malta, a Koenigsegg! There will also be other attractions, such as a motor cross event and a large collection of classic and modern Ferraris. The Mdina Grand Prix Classic Car Event will be held this year between the 8th and the 11th of October. The Mdina street circuit is set in the idyllic countryside beneath the imposing bastions of the Old Capital City. 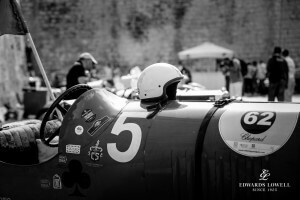 This will be the fourth consecutive year of the Mdina Grand Prix. It promises to be a magical weekend of classic car racing. Birgu fest, which was once known as Birgu by night, has grown in popularity over the past years. Mainly because of the immense beauty that is interpreted throughout this fortified small city. This historical city is completely lit by thousands of candles sprinkled on every step and every balcony. You’ll be able to find a wide variety of food stalls, restaurants, and bands to liven up the night. Halloween in Malta has become a time to look forward to. With the weather still holding up nicely, it gives the opportunity to really be creative and daring with your Halloween costumes. On this night theme parties are organised and of course, the traditional trick or treat is done by younger ones. Clubs and bars go all-out to decorate their premises to attract as many one-eyed zombies and killer clowns as possible. It’s a good night out and definitely something you should not miss out on.